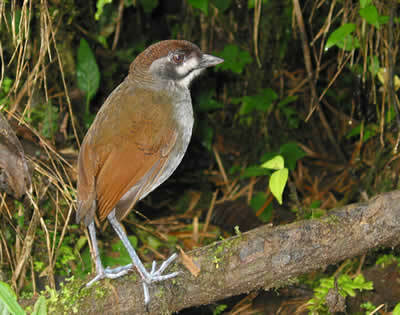 The endangered Jocotoco Antpitta (Grallaria ridgelyi) was first discovered in Ecuador in 1997. 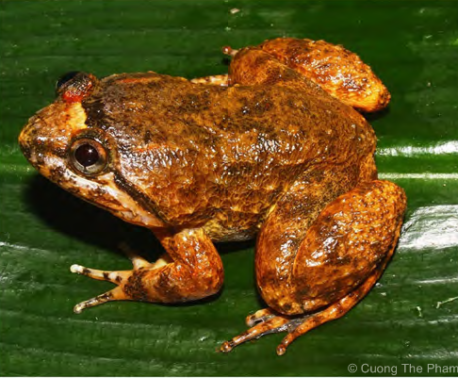 Tapichalaca Reserve, owned and managed by World Land Trust partners Fundación Jocotoco, was set up specifically to protect the discovery site of the Jocotoco Antpitta. 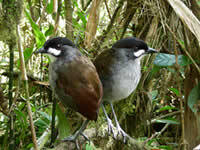 With protection, numbers of this antpitta have gradually increased, but so have visitor numbers. 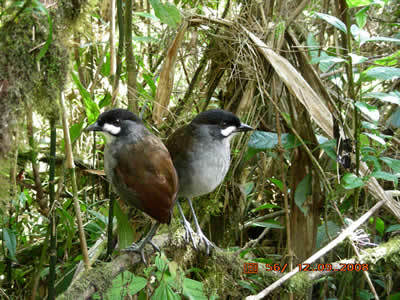 In order to limit disturbance of the antpitta's habitat, one pair has been fed regularly with worms by reserve warden Franco Mendoza. 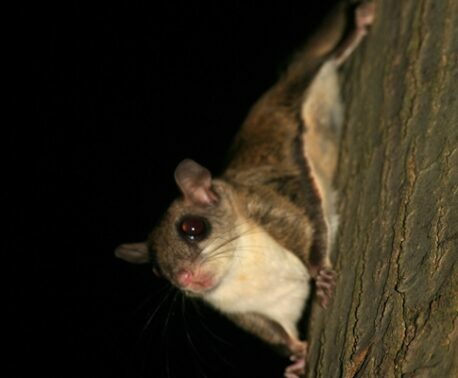 Visitors have been able to enjoy close views of this reclusive species without the use of tape recordings, which are otherwise commonly used to attract birds. 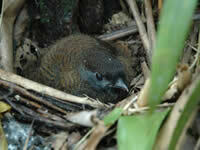 Thanks to the abundance of food the antpittas have bred rapidly, with three young birds appearing in sequence at 3 or 4 month intervals. 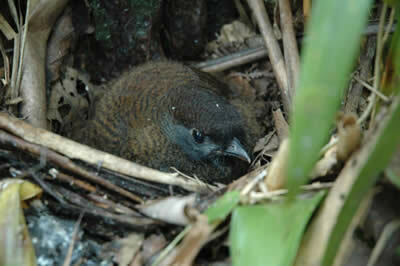 In November a fourth nestling was spotted, and this led to the discovery of the nest – the first one found after ten years of searching. 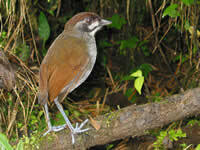 The feeding site is also regularly used by Chestnut-naped Antpittas, and by the very rare Andean Coati, related to racoons.